NASA confirmed to Inverse that astronauts on the International Space Station will be able to screen “Star Wars: The Last Jedi” in the near future. 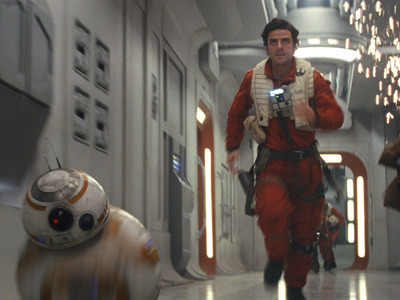 The anticipated “Star Wars” sequel premieres in theatres on Thursday night. “The Last Jedi” has received critical acclaim in advance of its release. While earthbound audiences will have to line up Thursday night to see “Star Wars: The Last Jedi” in theatres, NASA astronauts will soon be able to screen the anticipated film on the International Space Station (ISS). 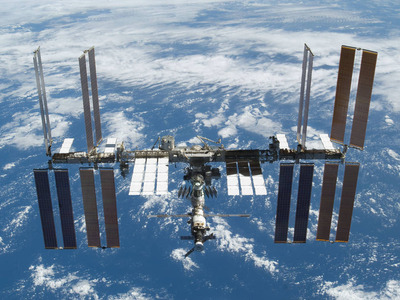 Spaceflight reporter Robin Seemangal first tweeted the news on Tuesday, and Inverse later confirmed with NASA that the film will screen for the ISS astronauts at some point in the near future. “I received confirmation from Disney and NASA sources that the crew aboard the International Space Station will be screening ‘Star Wars: The Last Jedi,‘” Seemangal tweeted. Inverse speculates that the digital file of “The Last Jedi” could arrive on a SpaceX Dragon capsule that the Orlando Sentinel reported is bound for the ISS on Friday. “The Last Jedi” currently sits at a 93% “fresh” rating on the reviews aggregator Rotten Tomatoes, and it opens nationwide on Thursday night.